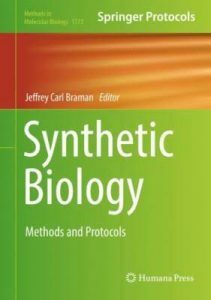 Our new book chapter 'Transformation of an Exotic Yeast Species into a Platform Organism: A Case Study for Engineering Glycolipid Production in the Yeast Starmerella bombicola' is published in 'Synthetic biology: Methods and protocols'. In this chapter, a step-by-step approach on how to transform non-conventional yeasts or fungi into platform organisms is described. The non-conventional glycolipid producing yeast Starmerella bombicola (and in some cases also Pseudohyphozyma bogoriensis) is used as a case study. You can find our new book chapter right here.